“You’re having twins!” It’s the shocking, overwhelming and exciting news that around 1.4% of mothers in Australia experience. But imagine being told it twice…in just 14 months! 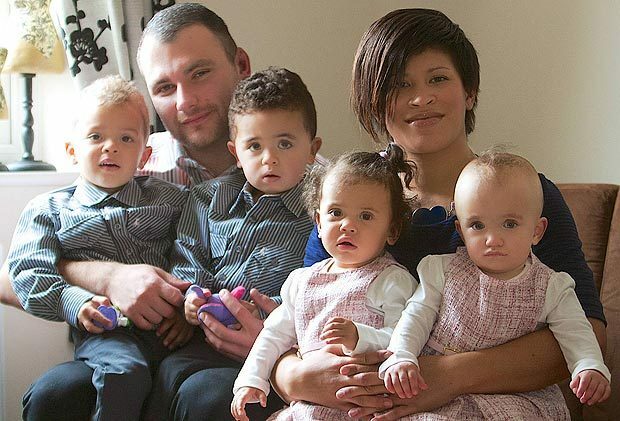 That was the reality for a couple from Kent, 29-year-old Stacey Wright and her partner Peter Podolski. To boot, Stacey was on the pill! 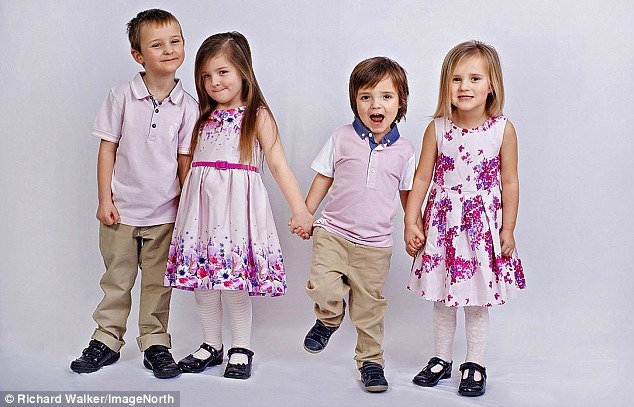 They had their first set of twins, boys named Harry and Oscar in 2010. She gave birth prematurely to the second set, girls this time named Annie and Eliza, in June of the following year. 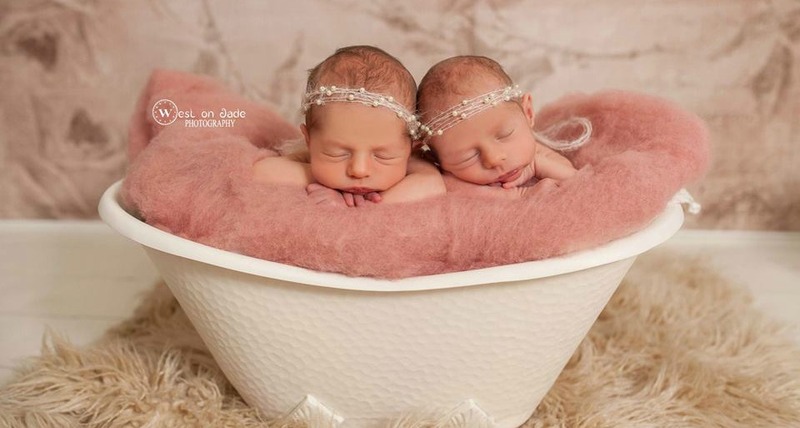 Wright and Podolski hadn’t been using fertility treatments for their first set of twins, so their arrival came as a happy surprise. 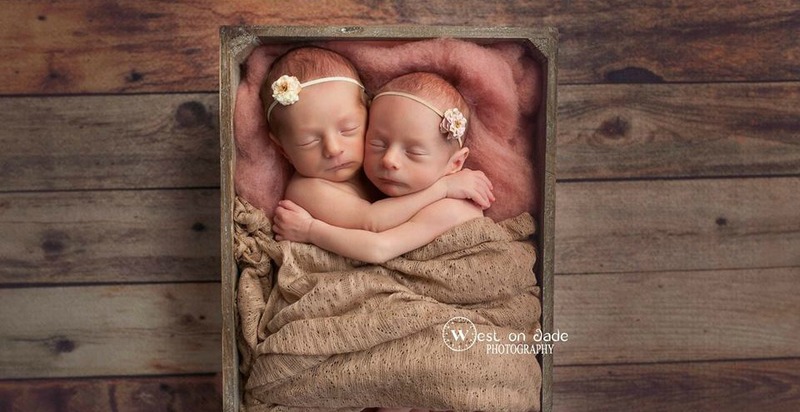 After their birth, Wright had to have some pre-cancerous cells removed from her cervix, on top of which the couple said they definitely weren’t trying to have any more children. But, there you go- life doesn’t always go to plan! Read more about her incredible story here. Whilst too many unplanned sets of twins is the stuff of stress rather than dreams, some of the photo opportunities that come with these occurrences can be pretty darn beautiful. 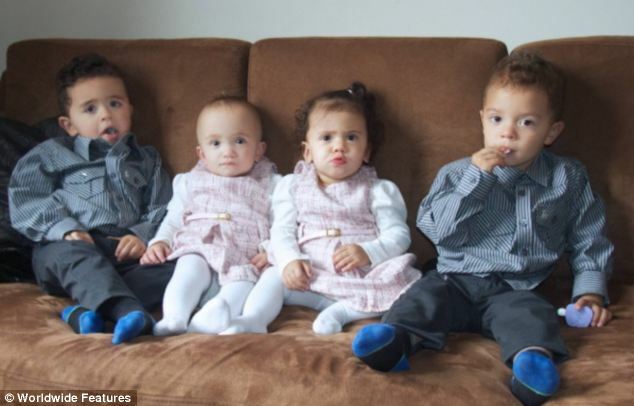 Check out the popular photo posted by mum of 2 sets of twins, Juliet Cannici, the woman behind the lens of West On Jade Photography. 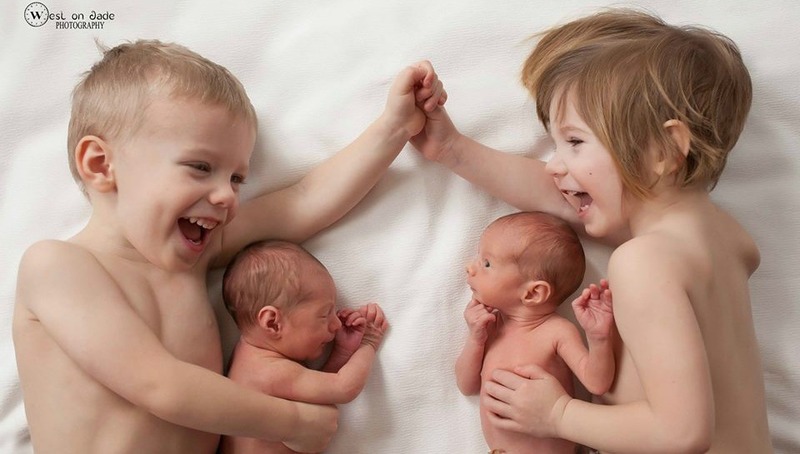 Social media has had an overwhelming response to the photo, saying that it is the stuff of pure sibling love. Just look at it- how could you not agree? !